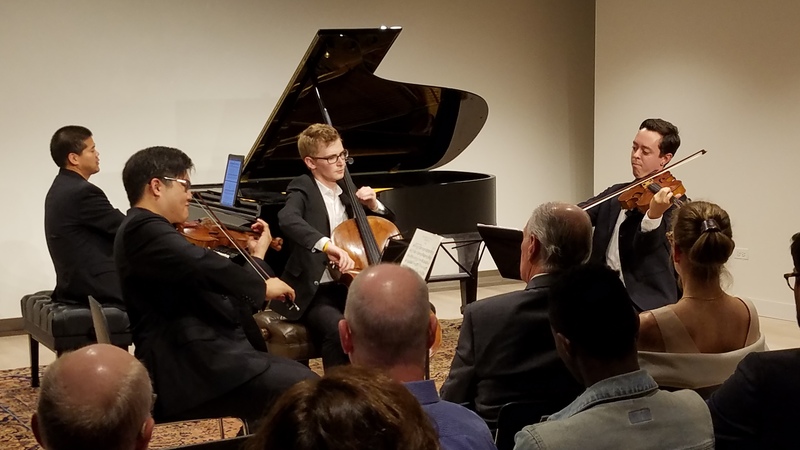 With a stellar performance by NEXUS Chamber Music Chicago artists and an enthusiastic and supportive audience, we inaugurated our new performance hall yesterday, August 23, and we couldn’t be happier! We’re calling this week’s concerts (August 23, 24, and 26, 2018) our “sneak peek” events, since our grand opening is slated for October 23. (We’ll post more about that soon.) Artists and concertgoers alike were kind enough to look past a few minor construction details to be completed in the weeks ahead, for example, curtains instead of doors to the performers’ “green room,” but that was all part of the excitement of being there first. We look forward to introducing more of you to the new space, either in person or via live streaming of future concerts!